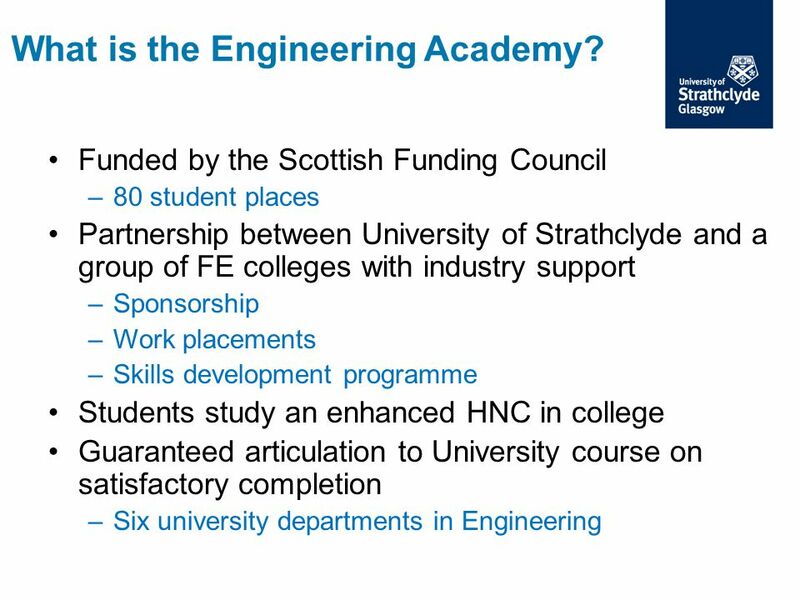 2 What is the Engineering Academy? 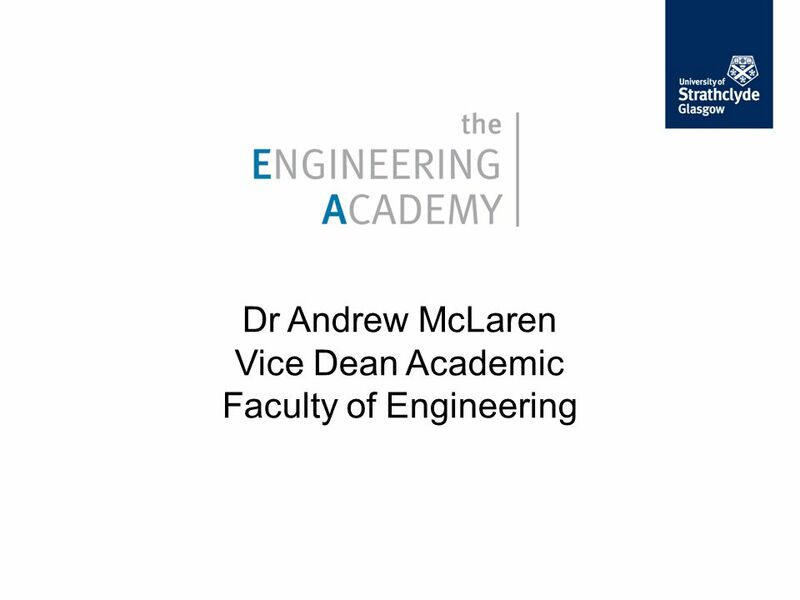 Download ppt "Dr Andrew McLaren Vice Dean Academic Faculty of Engineering"
The Involvement of Industry in Engineering Programmes Professor John Dickens Director Engineering Centre for Excellence in Teaching and Learning Loughborough. 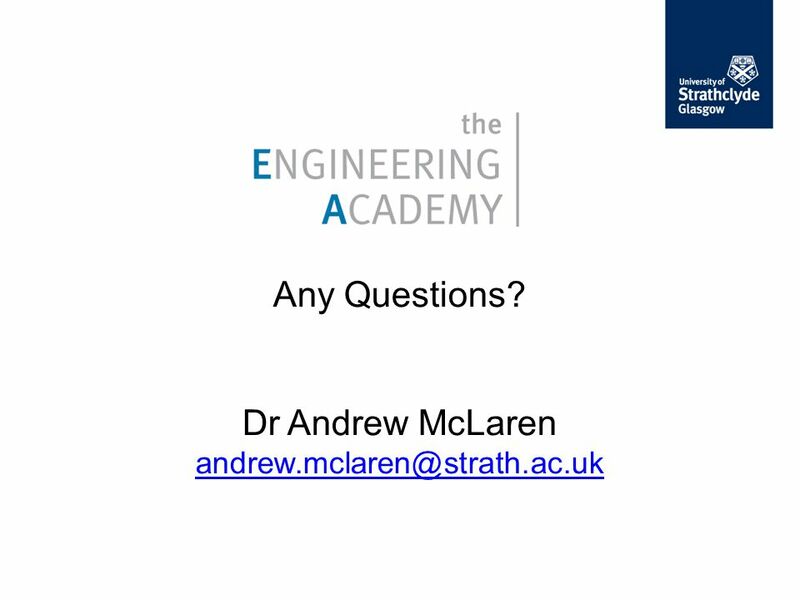 Dr David Nicol Project Director Centre for Academic Practice University of Strathclyde Re-engineering Assessment Practices in Scottish. Academic review of HE in FECs. Student support: an overview Alan Bradshaw Assistant Director QAA. 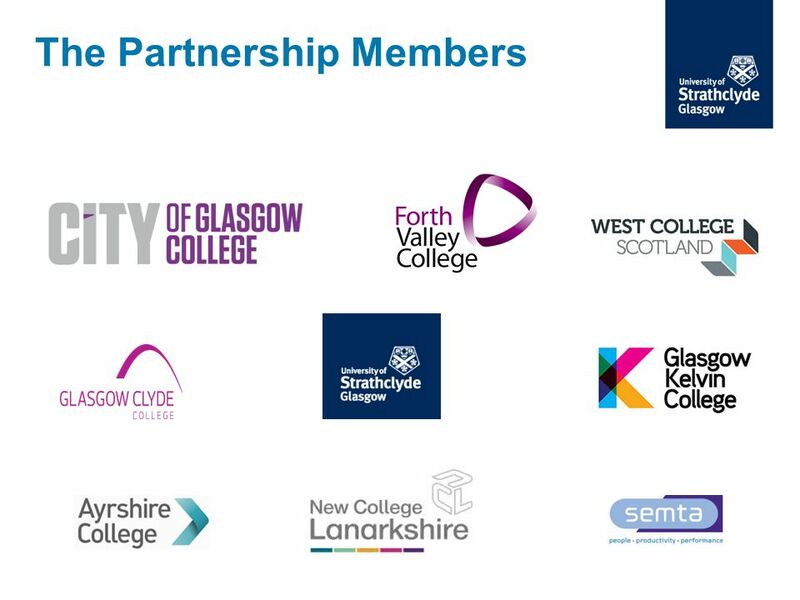 Aiming University Learning at Work A partnership: University of Glasgow, Glasgow Caledonian University, University of St Andrews. 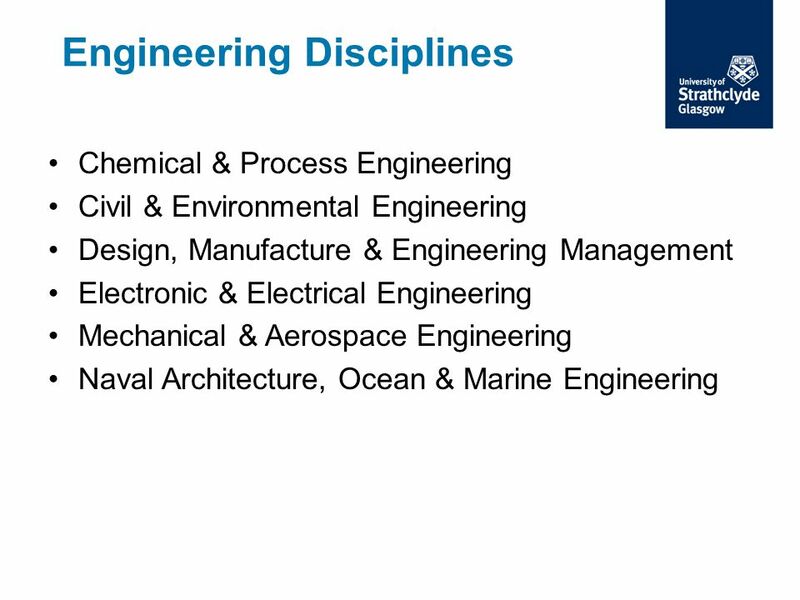 School of Mechanical, Materials and Manufacturing Engineering Are you interested in applying engineering science to design? 1 Engineering at The University of Nottingham Mark Sumner and Kathy Simmons Admissions Tutors. The Employability Enhancement Theme Dr Graeme Roberts 20th December 2004. 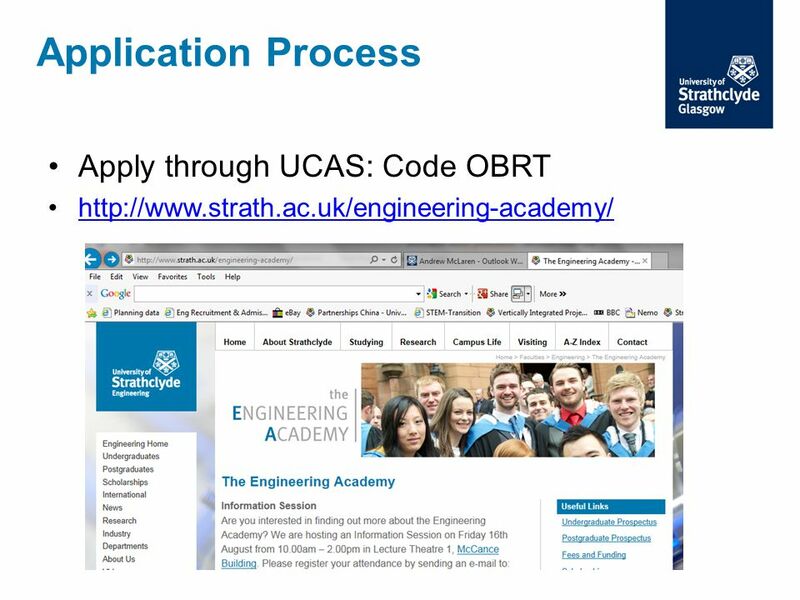 SCHOOL OF ENGINEERING – Entry Requirements Minimum UK Entry Requirements for Undergraduate Degrees in the School of Engineering at the Robert Gordon University. 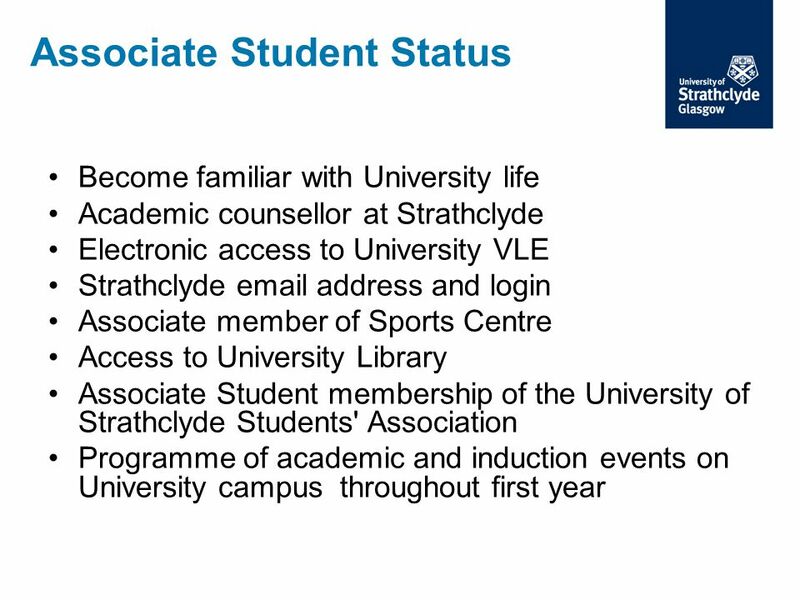 Degree Link and Access Lesley Gunn Study Skills & Access Unit. Widening Participation in Post- Compulsory Education in Scotland The College to University Context Dr Eric Massie FRSA Scottish Further Education Unit. Queen Margaret University Developing and Supporting the Curriculum Dr Roni Bamber, Dr Sally Anderson. HE in FE Lynne Scragg Dean of Studies. 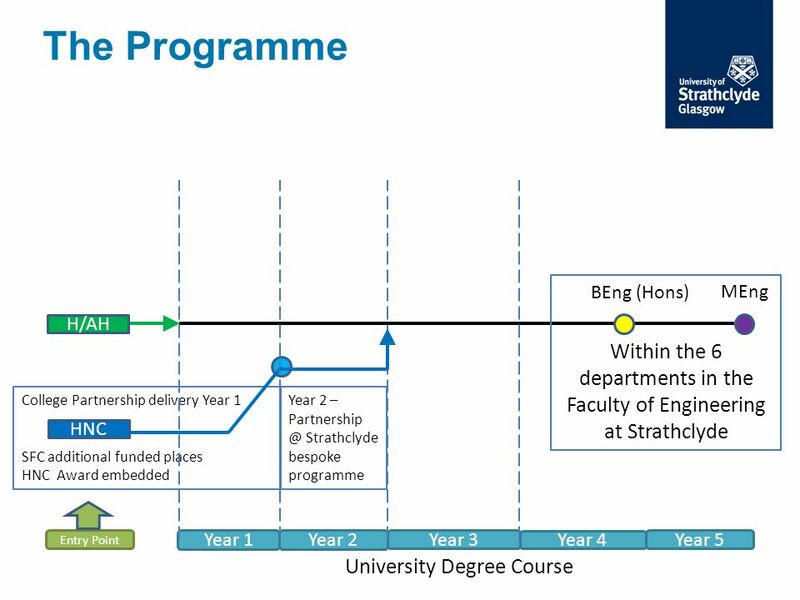 Benefits to the FE institution Offers broader progression routes for learners Opportunity for staff to teach at. UNIVERSITY OFSTRATHCLYDE. DEPARTMENT OF ARCHITECTURE SCHOOL AND COLLEGES LIAISON. Student Lifecycle Services Admissions Team Admissions Policy Overview Key Principles. 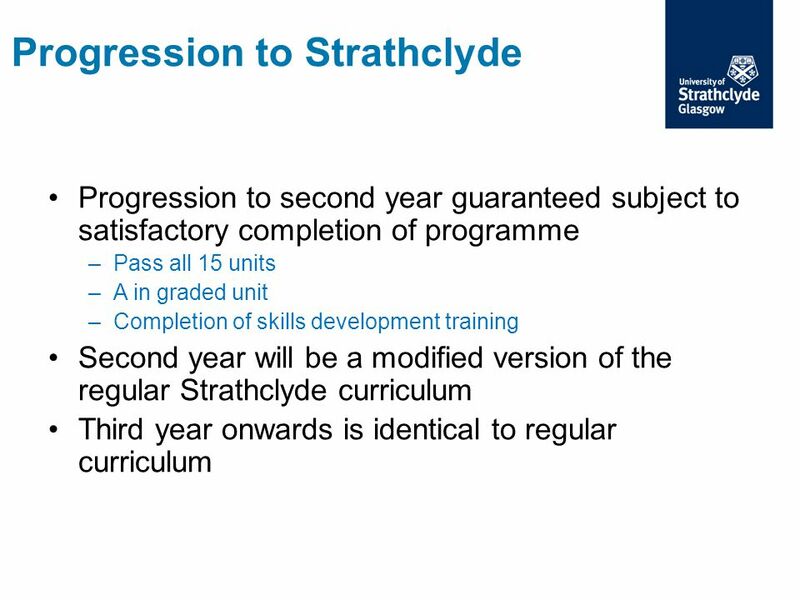 Size and Shape Size and shape Around 2,000 undergraduates Around 2,150 postgraduates 550 Glasgow based postgraduate instructional 1100 offshore postgraduate. 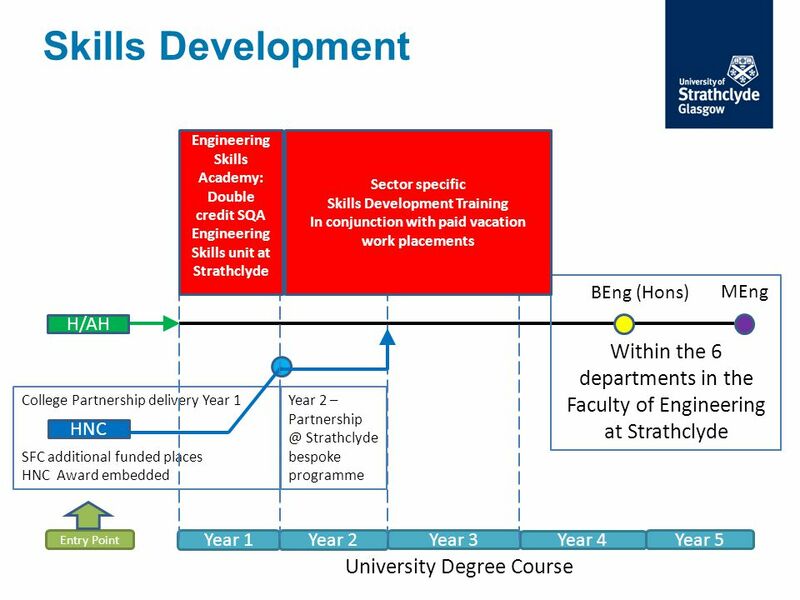 Internship and Placement Related Work in Scotland: The Story So Far Professor Alice Brown CBE, Chair of Scottish Funding Council. Dr Andy Clarke Dr David Stanley The Engineering Doctorate (EngD) Programme.